There's all sorts of bands out there clamoring for your attention and none more worthy than Boston's Kal Marks - right now likely still asleep in the back of the van or already motoring on to their next date. 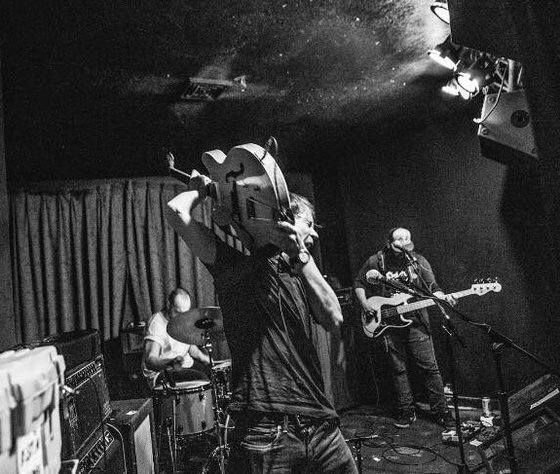 The Northeast's most important noise-rock band is burning up highway on their Fall US Tour. Remaining dates below. Kal Marks are influencing their fellow creators and dominating the underground while impressively flirting with a more mainstream audience. The band were recently tapped with a Best Rock Band and Best Album (for 'Universal Care') by the Boston Music Awards. Clearly this is an act that performs for audiences. Kal Marks is Carl Shane, Michael Geacone and Alex Audette. The impressive run of live dates culminates back in Boston for what is sure to be an explosive finish to a righteous 2018.